The story in "The Unicron Trilogy" just keeps on getting better and better. The storytelling in this series is progressive and smooth to where it feels like one really long movie (by really long I mean eight hours). 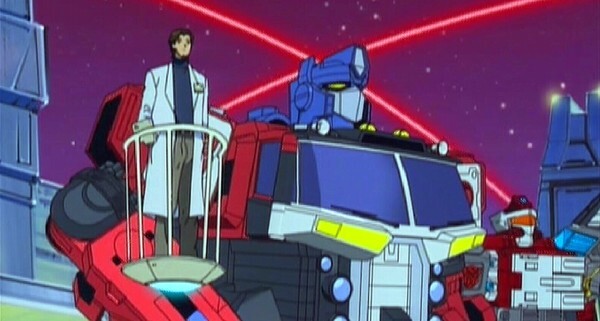 They also try their best to become like the good old "Transformers G1 (1984 - 1987)" series mixed in with their own style that was seen in "Transformers: Armada (2002)". You know what? It worked really well giving this show a really unique feeling with how they mixed modern and retro into one tasty burrito. While good I wouldn't say that it is perfect as I didn't like all the things that was added into this version of the Transformers. Another thing I didn't like was there were some scenes that were badly edited to where you'd just slap your face but thank goodness the problems don't ruin this show. I also really liked how they ditched the "we have to find a special weapon" for every episode in favor of a "anything can happen this episode" style as it makes the show less predictable plus they can do a lot more with the show that way. The action in this show was really good as it was exciting and had a very good atmosphere that makes you take them seriously. I also like how the action takes place both in space and on land as it helps keep the action feeling fresh. 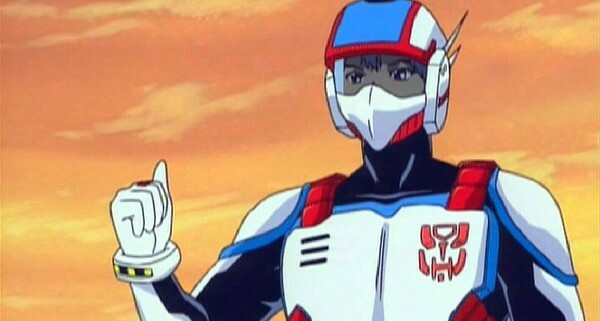 I liked most of the characters in this show and I especially liked the Transformers as they feel like how they should be with the Autobots being heroic without being cheesy and the bad guys being bad and menacing. There were some Transformers that I didn't like though as they were a bit goofy to where they turn every battle into an episode of "The Three Stooges". The human characters weren't bad but their immature personality might be a tad bit annoying but that changes fairly quickly as the characters do mature. 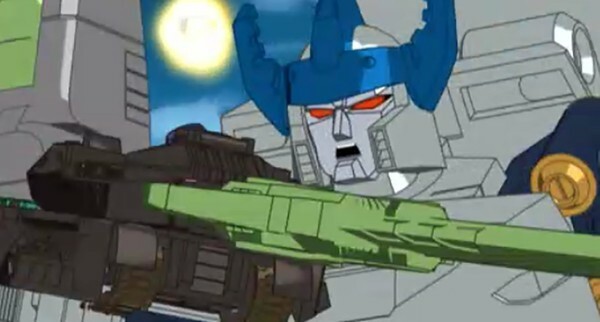 The artwork in this show is different than the prior volume (Transformers Armada: Collection Two) to where it is done in both traditional drawn animation and three-dimensional computer animation. The traditional drawn characters and locations have a basic look that looks good most of the time but there are some shots that look awkward and ugly. The 3D designs do looked aged but not terrible as they were done using cel-shading. That was a smart choice if I say so myself as not only does it stop the designs from aging terribly but it also helps the 3D models blend in with the non-3D artwork very well. Animation in this show hasn't aged that well as the traditional animation looks a bit rough to where it looks like a digitally animated comic book (like "Watchmen: Motion Comic (2008 - 2009)") but it's not all bad as there are some nicely done scenes. 3D animation suffers the same problems as the traditional animation and on top of that the 3D animation also looks floaty. While the animation isn't perfect by any means it is also not a thing that kills the show. The English dub wasn't bad at all with voices that matched up with the characters. There were some dumb lines of dialogue though and it will make you laugh. The soundtrack in this show was also good with music that helped settle the mood. There isn't much in the special features department on this set but alas we do get some really golden stuff. One of the features is a profile section that has information on some of the Autobots but the main reason to check this out is that is has some awesome photos of some of the figures from the "Energon" line that were worth looking at. 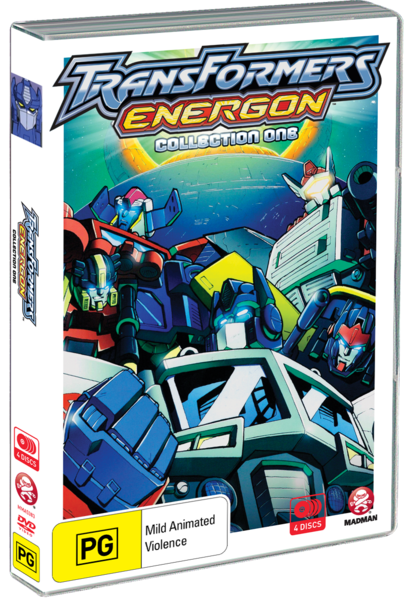 The other special feature found on this set is a picture gallery of the comic book covers of the IDW comic book series based on "Energon" and it even includes the variant covers and trade paperback covers (and I guess they also came out in hardcover as well). The covers were really nice to see and was great of them to include them on this release. Overall this show just keeps on getting better and better each volume and I'm really looking forward to see what happens in the next volume. Transformers fans would really love this series and those who have never seen Transformers would also enjoy this (and yes I know that from a personal experience). This show is worth watching. All hail Megatron! Animation/Production Studio: Actas Inc, A-CAT, We've Inc, Studio Galapagos.